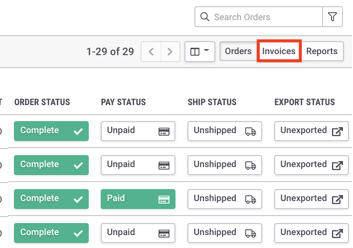 On the Orders Page, select the Invoices icon to view the Invoices Page. 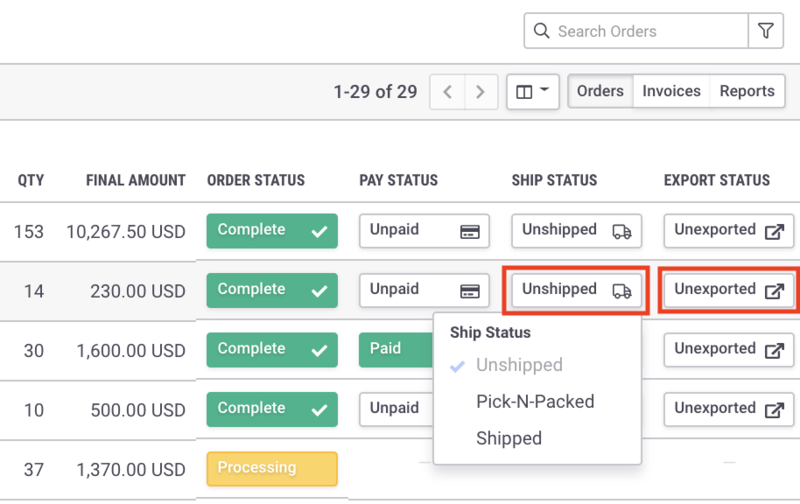 You can click on the Shipment and Export status in this view to change the status, but you must open an invoice to manage payments. 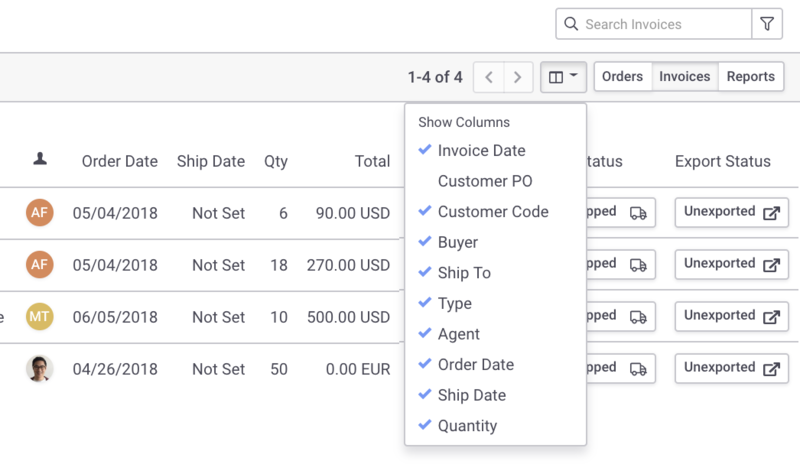 to download a Quickbooks Invoice Import (iif) file or Order Details.